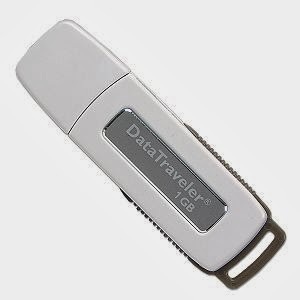 Fix Kingston 1GB alcor usb custom flash drive.Download USB flash disk format tool and repair your Kingston 1GB flash drive . Download Kingston 1GB flash drive format tool from the link in the end of this article . Make sure that your Kingston Flash disk chip vendor is Alcor (AU6981~AU6983) . After downloading the repair software ,extract the program folder . Insert your Kingston USB drive in your computer . Open this program file (AlcorMP .exe ) ,If this software support your flash drive , you will see your flash in the program interface . Now click on Start to begin updating Kingston 1GB firmware . Wait until finish updating firmware , Don't remove your USB flash drive while updating firmware . If this software doesn't work with you , so it's not your flash firmware ,please read this article to get your right repair software "How to repair usb flash drive in three steps " .